Cryosurgery (cryotherapy) is the local application of extreme cold for a controlled destruction or removal of abnormal or diseased tissue. In the past years, innovations in the methods of application of the cryogen have made cryosurgery a preferred surgical treatment option for veterinarians to use on their patient animals. More portable, easy to use hand-held devices, such as the CryoIQ®, were developed to give the veterinarian the possibility to treat skin lesions with accuracy and efficacy, either in their office or the field. 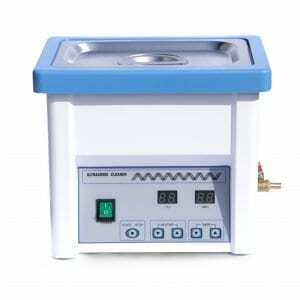 The freezing of the tissue by the direct application of the cryogen makes the procedure safe, efficient and fast. 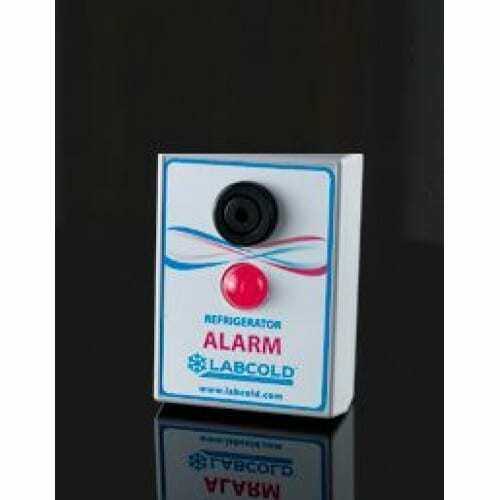 The freezing temperature will destroy cells in the target tissue, the accuracy will avoid destruction of adjacent healthy tissue, and a powerful method of application will allow the veterinarian a rapid penetration of the targeted lesion. 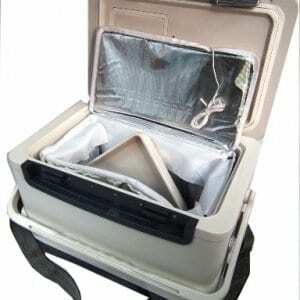 The compact, portable CryoIQ® hand-held device uses Nitrous Oxide cartridges as a cryogen with a freezing temperature of -89°C/-128° F and once punctured the Nitrous Oxide is delivered with a 725psi/ 50 bar pressure to the lesion which allows the veterinarian a fast and effective treatment. 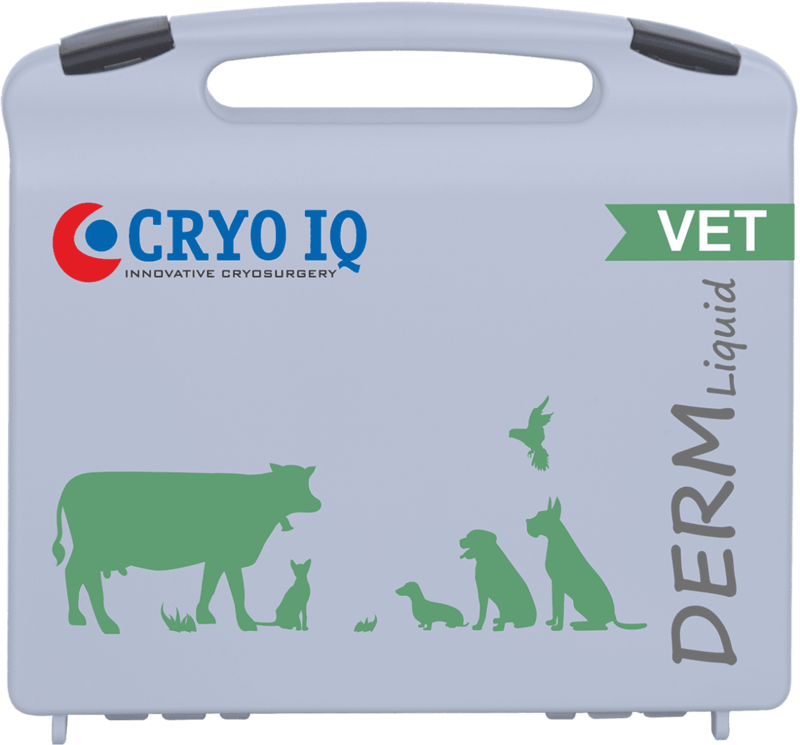 The CryoIQ® gives the veterinarian the ability to control the width and depth of a skin lesion treatment using various types of applicators, and for every 4 seconds of freeze, the skin will be penetrated 1mm in depth, to a maximum of 5-6mm. Simple pencil type grip for easy use and very accurate application. Freezes to -89 °C and to a depth of 3 mm. Liquid Spray Freezing: Provides millimetre precision freezing to the treatment site through microcapillaries. Contact Freezing: Closed tip applicators are cooled off by the cryogen before placing onto the lesion for a hassle-free contact freezing. An inexpensive procedure, anaesthesia and sterile preparation not necessary (out-patient procedure). Fast and efficient treatment, less time needed for the veterinarian in a busy office. Minimal to none pre-or post- operative care. No general anaesthesia required in the majority of the procedures.